I’m Lynn St.Aubin and I spend my days working from my downtown art studio in Kaukauna, Wisconsin. I have had a passion for creating art since I first discovered paint. By the time I was 10 years old I had converted my purple Kool-Aid stand into a jewelry counter where I sold jewelry that I beaded to the neighborhood kids. As I grew older I earned a Bachelor's degree in Interior Design with an emphasis in Art from the University of Wisconsin - Stevens Point in 1986 and worked for a commercial design company until starting a family a few years later. I continued to paint from my home studio for many years as a stay at home mom. By the mid 1990s, my business, One By One, was born. From 2006 to 2010, I owned and operated a small shop and art studio in Kaukauna, WI where I sold my work as well as the work of a few other local artists. This past year I began renting a great downtown studio space with big windows and is full of natural light and overlooks the river. A perfect space for being creative! The direct contact I have with my customers keeps my work evolving and inspires me every day. After being in the art and design business for 30 years, I have seen trends come and go. My goal as an artist and designer is to stand the test of time by creating one of a kind art for you and your home. 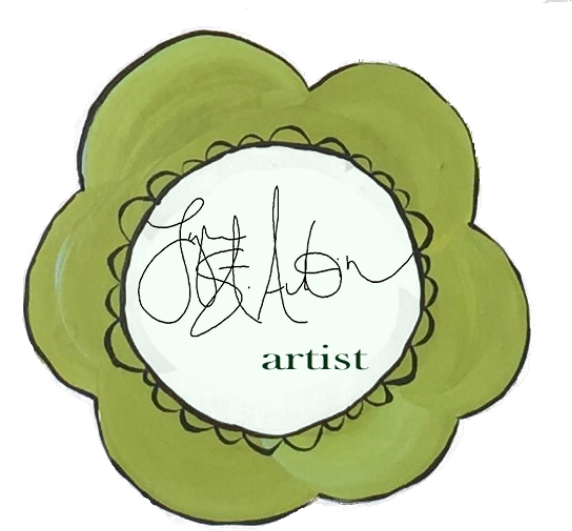 I am working on transitioning my business name from One by One to Lynn St.Aubin Designs. You may see both names out there for a while!